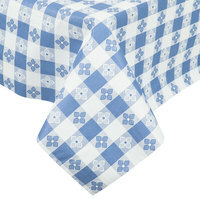 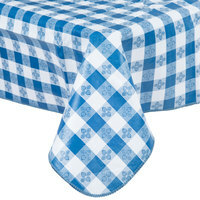 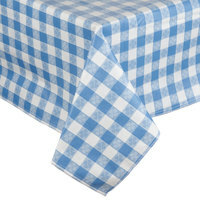 Cover the dining or buffet tables in your diner, pizzeria, BBQ joint, or other casual eatery with a classic blue gingham tablecloth. Featuring a decorative, blue and white plaid patterns, these table covers will add a festive touch to your establishment’s décor. 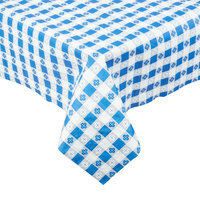 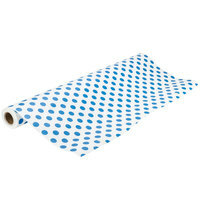 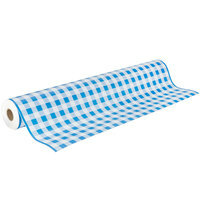 These tablecloths are also important, because they will help protect surfaces from spilled food and drink. 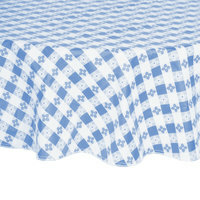 These blue gingham tablecloths are available in either dark or light blue options, depending on the color scheme of your event. 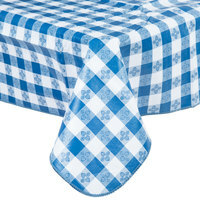 Browse our pre-sized, reusable table covers with flannel backings to provide cushioning and extra support. 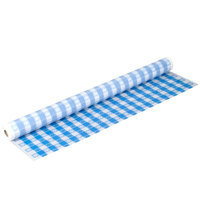 Or, you can choose from our disposable options that come packaged on a roll, allowing you to cut the desired amount needed for each table.